Jeffrey (Jeff) Wilcox is Vice President for Digital Transformation at Lockheed Martin. He oversees the Digital Transformation Office (DTO) and is responsible for the design, development, and implementation of Lockheed Martin’s operations strategy. This office is chartered with leveraging emerging digital technologies to transform systems design, production, and sustainment and ensuring the workforce and systems are in place to enable successful transformation. Previously, Mr. Wilcox served as Vice President for Engineering and Program Operations for Lockheed Martin. In this capacity, he was responsible for the effectiveness and efficiency of the engineering, program management, production operations and sustainment functions across the enterprise. Prior to that role, Mr. Wilcox served as Vice President for Corporate Engineering where he was responsible for the engineering enterprise, ensuring that the right people, processes, tools, and technologies were in place to successfully deliver innovative engineering solutions to customers’ most complex challenges. Prior to joining Lockheed Martin, Mr. Wilcox served for 17 years with Science Applications International Corporation (SAIC). Mr. Wilcox earned his Bachelor of Science degree in biomedical engineering from Case Western Reserve University and his Master of Science degree in electrical engineering from Drexel University. He holds an honorary doctorate of engineering from Stevens Institute of Technology. 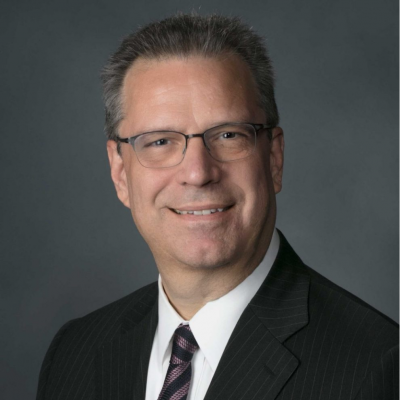 He is chairman of the NIST Manufacturing Extension Partnership National Advisory Board and serves on the Advanced Robotics for Manufacturing Board as well as on multiple industry and university advisory boards. Mr. Wilcox is an adjunct professor at Miami University in Oxford, Ohio, an Associate Fellow of the American Institute of Aeronautics and Astronautics, and a senior member of the Institute of Electrical and Electronics Engineers. Check out the incredible speaker line-up to see who will be joining Jeffrey J..